The patio was decorated for Christmas and a live manger scene was created by bringing two or three animals from the City of Mercy Mental Hospital in Rosarita Beach. The people glorified God and the Holy Family by their thankfulness and joy as they gratefully received their food, blankets, and a toy. THANK YOU for Hearing the Cry of the Poor! 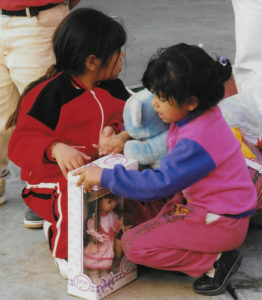 You made Christmas a time of JOY for our brothers and sisters in Christ who live in the dumps of Tijuana. Your generosity provided 1500 bags of special food and a new blanket for 1500 families and “many more”, say the Sisters! The people were delighted to receive fresh oranges and apples in their bag of food. In December, we sent $62,000 for the Christmas distribution. We received $52,801 from our special Christmas appeal letter and other donors. That includes $25,375 from All Hallows Church Advent collection and the special letters. This money purchased food and other items (chickens and shoes were donated). Thank you everyone! Handmade quilts from the All Hallows Parish Ladies Quilting group were given to families with special needs and to moms with new babies. These lovely and colorful quilts are treasured by those who receive them. 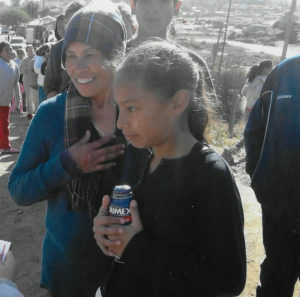 The people were thrilled and grateful to receive the food, the other gifts, and a BLANKET! The people enjoy the fellowship and comfort the Casa offers. Women most often express their joy with tears. Most of us have NO IDEA what it is like to live the way these people must live. They were sincerely grateful for the simple gifts, happy to share with others, and to enjoy this feative Happy Day at the Casa with their Friends and the Sisters. To the men, women, and children who come to the Casa, it is “home” and represents a refuge, security, and love. The Sisters will be delivering more blankets, food, and some tarps (donated by a generous family) and toys to several outlying colonias they help on a regular basis. The nights these last few weeks have been extremely cold. The need for basics at the Casa is never ending. 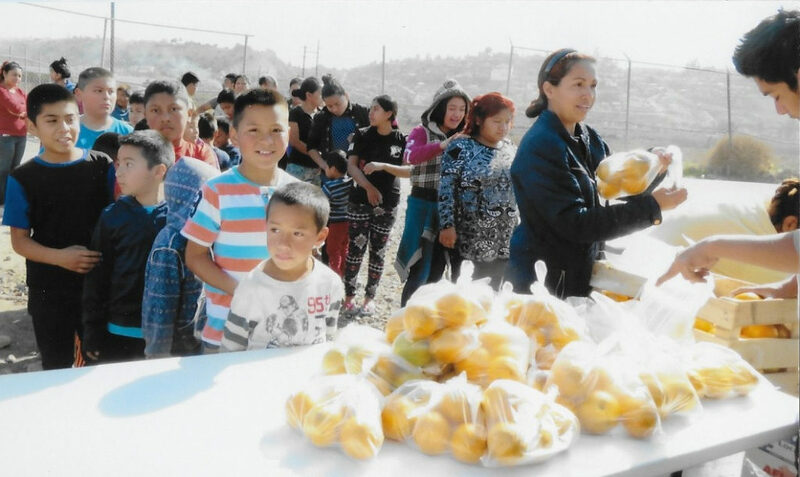 The Franciscan Sisters have been serving the destitute in Tijuana since 1957 through their soup kitchen, bodega, roperia, medical clinic, and social service office. They reach thousands each week through their apostolate of LOVE — serving JESUS in the poor. Can you help? Your donation goes farther, because we have no overhead except minimal PayPal and credit card charges. 24 Scholarship ads are supporting students to break the cycle of poverty. Can you help us to do even more? This entry was posted in December 2018 by Pat Erzinger. Bookmark the permalink.